I was not a K9 guy until very late in my military career and like many of you, I was very impressed (hell I still am) with the drives that exist in a 70 lb Dog to make her/him full on attack a 200 lb criminal or terrorist or whatever you’d like to call the person you are sending a Dog on. It’s just flat out amazing. 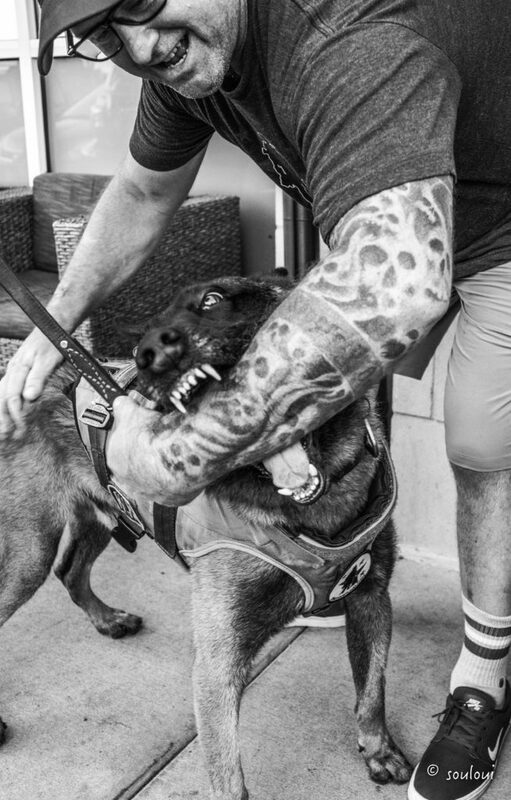 The truth is, the K9’s are capable of so much more than that, and much of their other abilities are even more amazing than the bite work. This weekend we posted a story on our facebook page about a K9 finding some lost children in the woods. Tracking through neighborhoods on pavement and through the woods for hours is a very tough thing. We rarely hear about this type of thing but it happens quite frequently. K9’s find children, elderly people and lost adventurists all the time. Avalanche Dogs train endlessly to use their keen sense of smell to find avalanche victims. K9’s find drugs and help keep them out of schools and off the street. Bomb Dogs work at every airport in the country. Most every sporting event has a K9 or several K9’s who sweep the building before the doors open. There are K9’s who work at mass transit locations and at national parks. My point is, there are a LOT of K9’s working in the US and overseas on behalf of US interests. Our mission is to make sure that ALL of them get the protection and care that we believe they deserve. During and AFTER their work. The bite dog stuff is cool and they look amazing in the movies and on TV, but those mediums don’t show the struggles those K9’s will have later in life because of the work we ask them to do. Be a part of our team. Help us help those K9’s.